What it is, Groove-ophiles! Hey, we dig the Avengers, don't we? 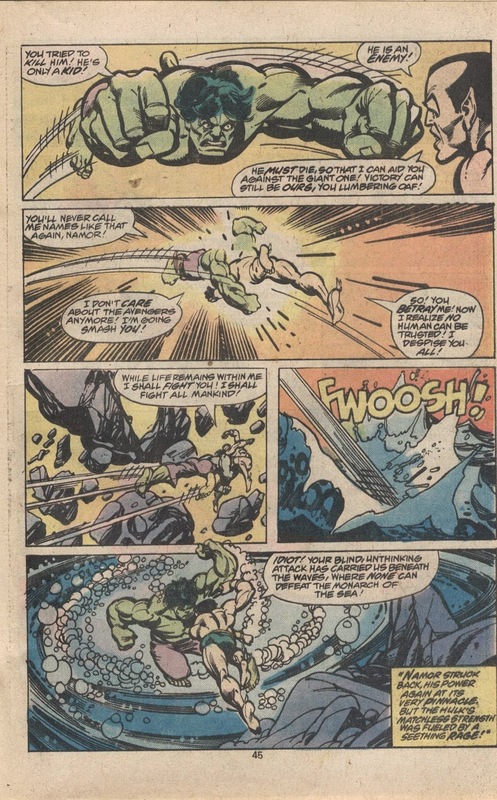 We dig the power-house pencils of Gil Kane, don't we? 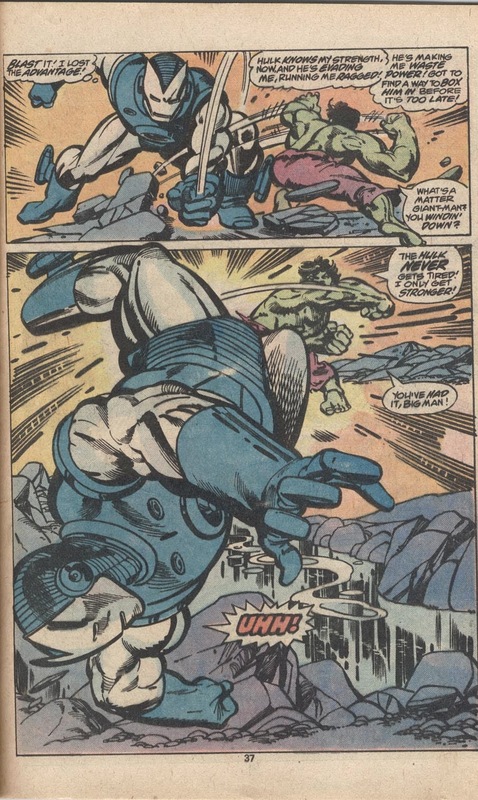 We dig the incredible inks of Klaus Janson, don't we? 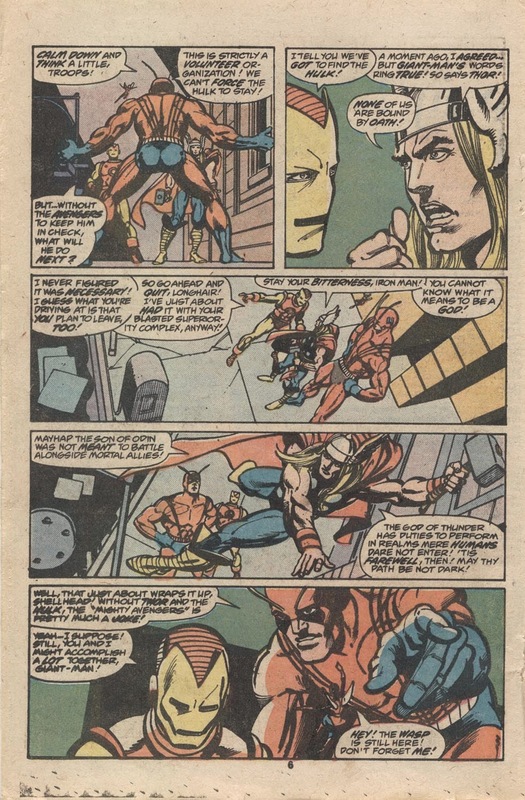 Well, you put all'a that together with one of the most awesome tales Jim Shooter ever thunk up, and you've got "What If...the Avengers Had Never Been? 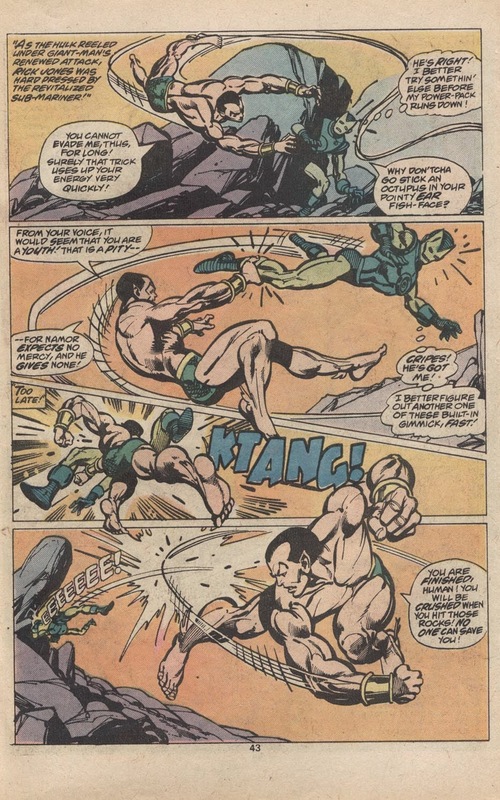 ", an epic that belongs on the Mount Rushmore of Bronze Age comics! And what a powerful tale it is. 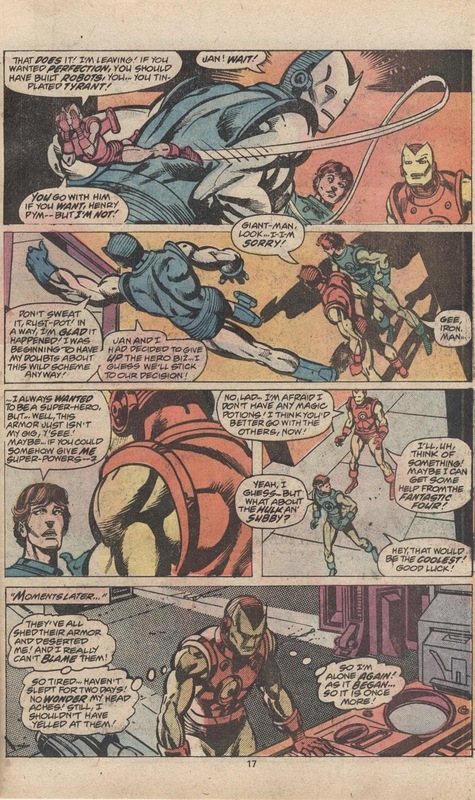 Few comics can match it for it's depiction of the grit and guts that make the members of the Avengers (even if they're an alternate dimension version of the Avengers) so heroic and admirable. And as for the art? Hoo-hah! 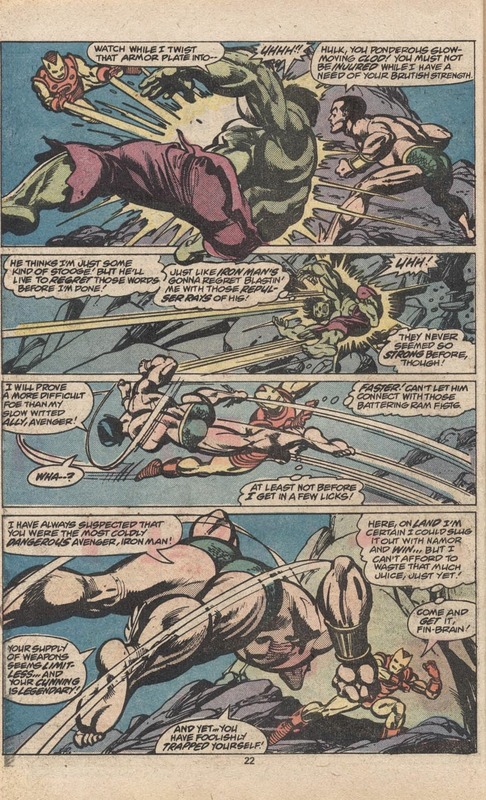 Kane's depiction of the Hulk's brute force, Iron Man and Sub-Mariner's sleek-yet-immensely powerful forms, and the humanity of the Avengers out of costume should bring a joyous tear to your eye. Check it out, Groove-ophiles! 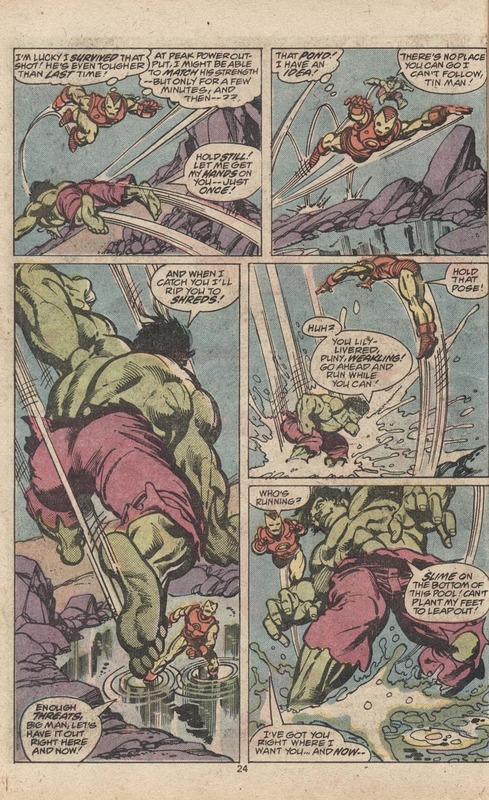 Labels: (p)raising kane, 1970s comic books, 1970s comicbooks, avengers, gil kane, hulk, iron man, jim shooter, klaus janson, marvel comics, sub-mariner, thor, what if? Go for it, Edo! You'll be glad ya did! What a powerful story. The ending still brings a tear to my eye every time I read it. I'd have to place it in my top 5 comics of all time (along with Avengers Annual # 7, Marvel Two-In-Annual #2, Avengers # 93 And Giant-Size X-Men # 1). I told Jim Shooter so at the Wizard Comicon Chicago in 1996. And that art! 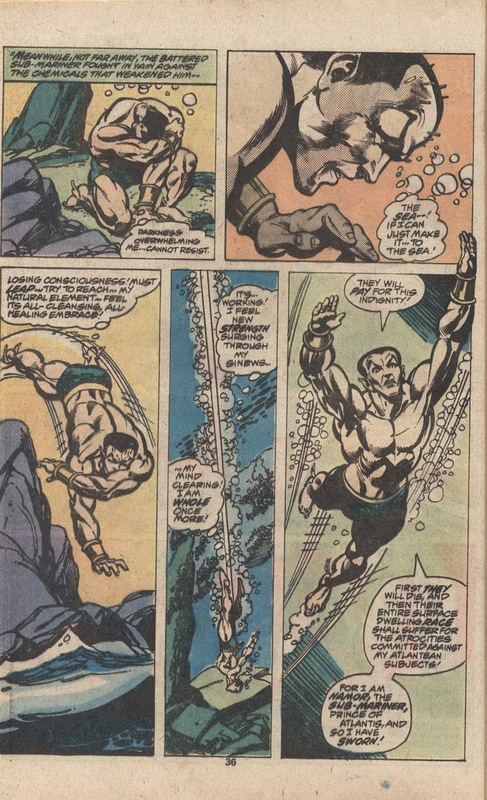 Did Gil Kane ever look better? 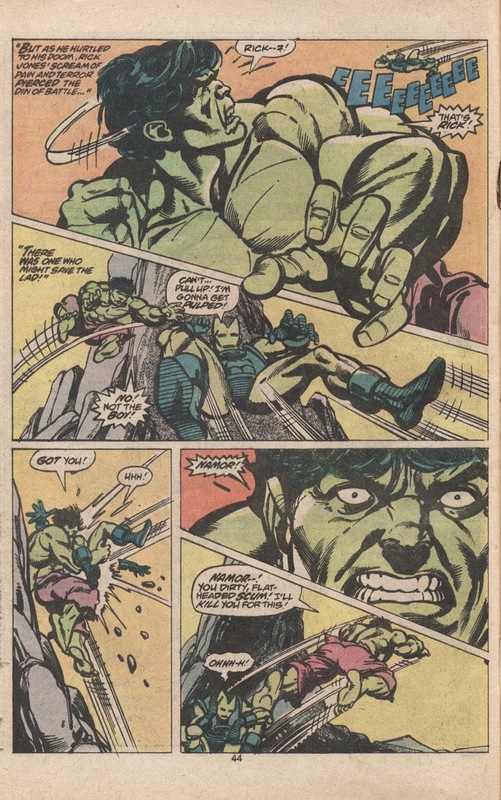 (I remember opening this comic and being bowled over by the Hulk leaping splash page). 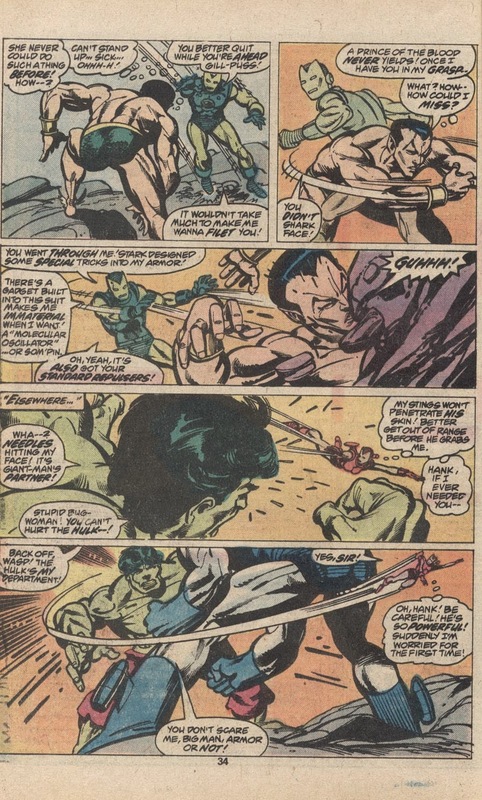 This was largely due to the superb inking of Klaus Janson. 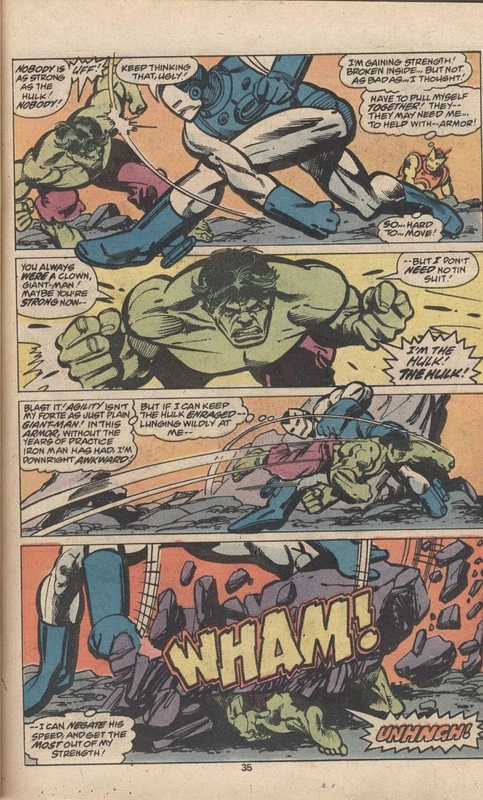 Loved his use of thick lines and zip-a-tone. 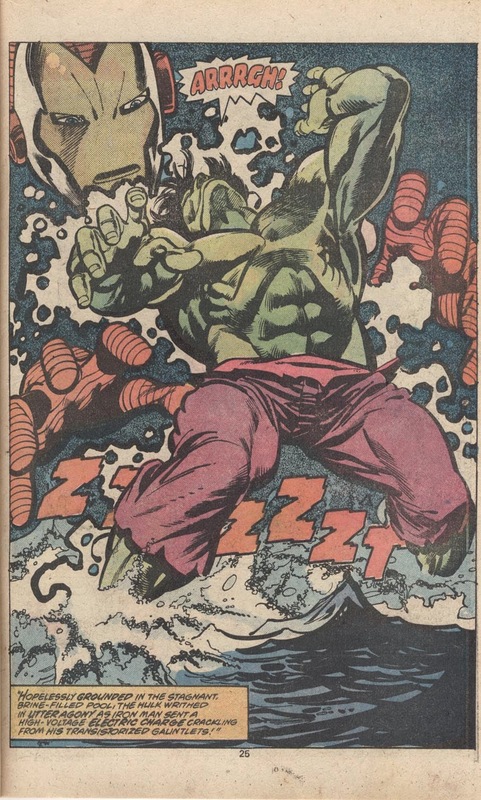 His arrival to the comics field around this time showed that a major talent had entered the Groovy Age. Your Mt. Rushmore of Marvel Comics sounds a lot like mine, Groove-ophile! Oh yeah, that Kane-Janson art is superb! 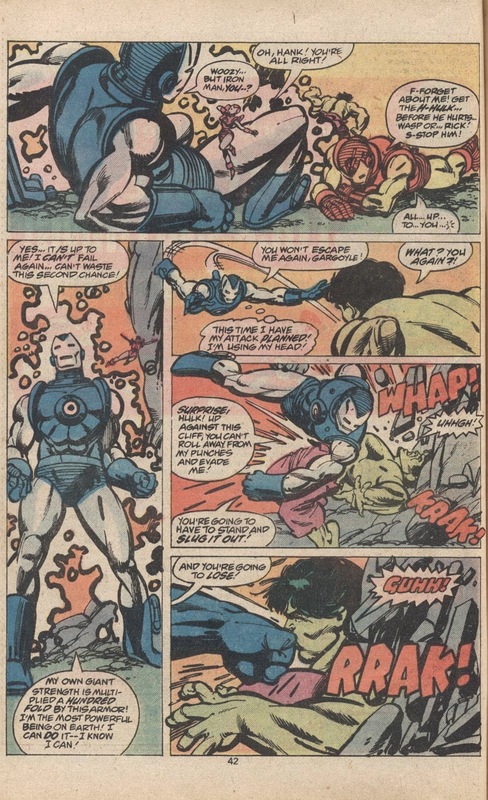 They were a great team, and around the same time did some very pretty issues of DD as well. I must love this comic a lot, as it has pages that are falling out! Yeah, Kane and Janson were on DD around this same time, weren't they? What a fab team! 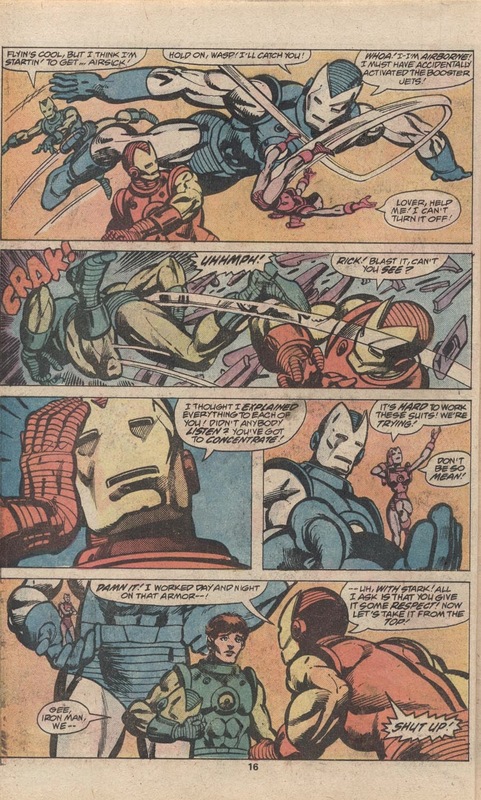 They're early team-up in Giant-Sized Defenders #2 is outstanding, as well! 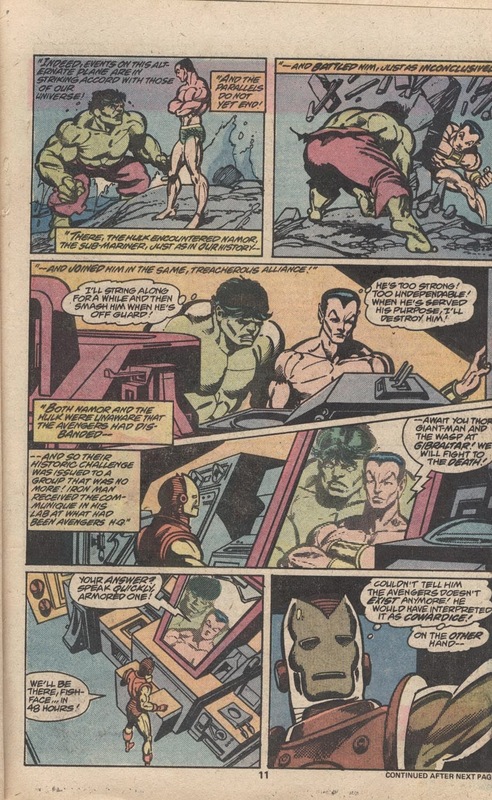 This is my favorite issue/ story in the What If series! Everything about it was tops! I bought it brand new in 77. 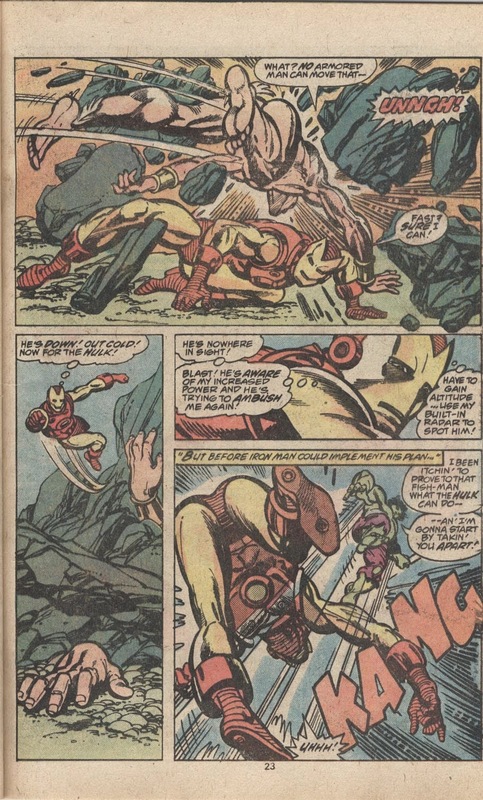 It still is one of my favorite bronze Age comics to this day! Only What If #19 with Spidey. DD & the Sinster Six comes close. 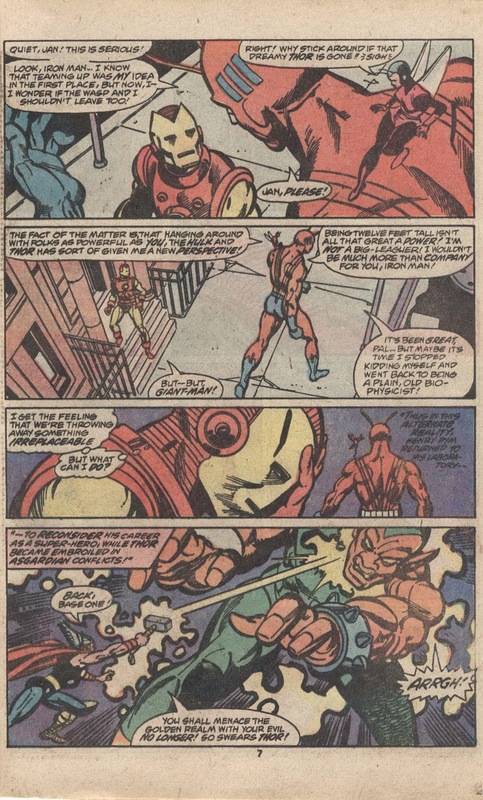 Which Pat Broderick did a superb Ditko imation draw it. These two stories were the very best in the whole series to me personally. They were simply MMMaarrvveelliioouusss!! 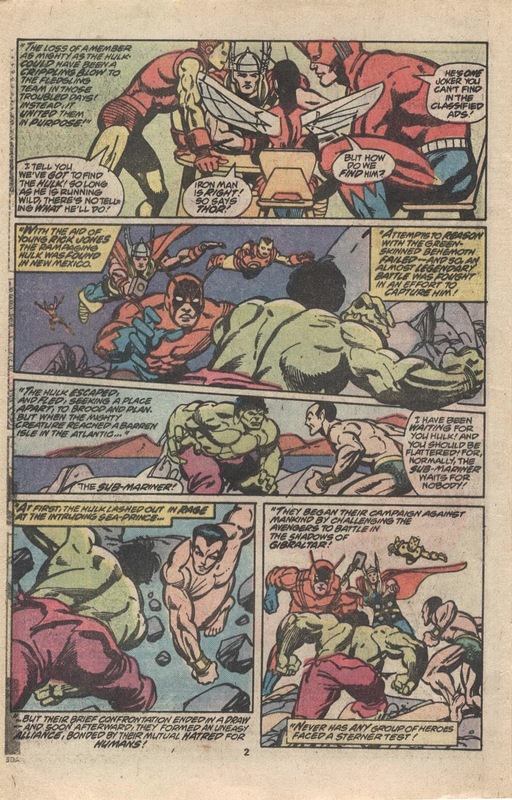 There were some superior stories in the original What If? run, Mike, and like you, this one is the tops with me! 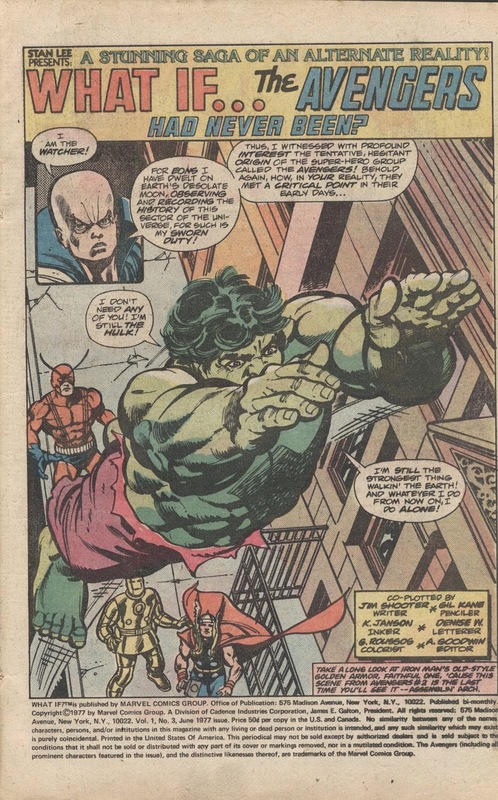 The Spidey one (with Pat Broderick art) was awesome, too, as was the Rick Jones/Hulk one, the 1950s Avengers, Conan today (both of 'em), Nova, Gwen Stacy Lives...aw, I loved this series, too! Thanks for posting this story! 'What If #3' is an all-time favorite of mine too! 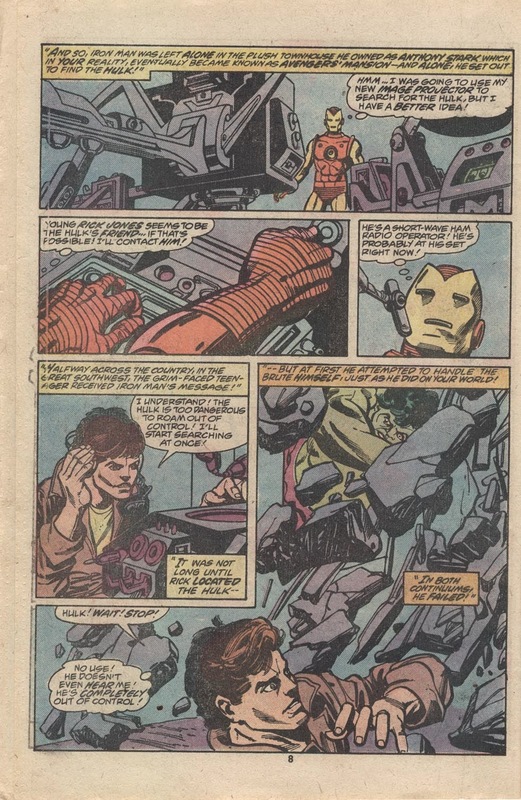 I picked up a tattered, worn out copy at a convention 33 years ago just to read, made me a Kane & Janson fan for life! If you'd rather I don't do that, I'll stop, but I wanted to make sure it was okay. 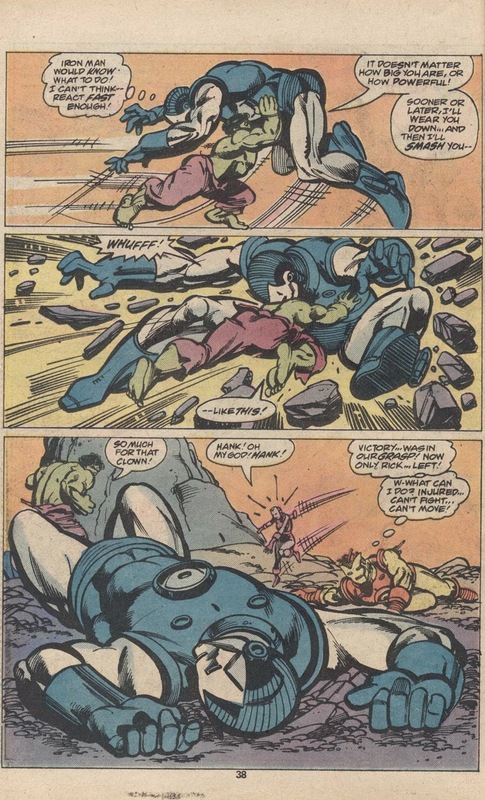 Thanks, this blog is one that inspired me to blog about comics! You keep doing what you're doing with Ol' Groove's blessing, J.A.! I have been asleep at the wheel and missed your bodacious blog, somehow! I'll rectify that sitch right away! I've added it to my blogroll and will be spending time catching up on your words of wisdom! Keep on truckin', baby! Everybody was at the top of their game on this issue. 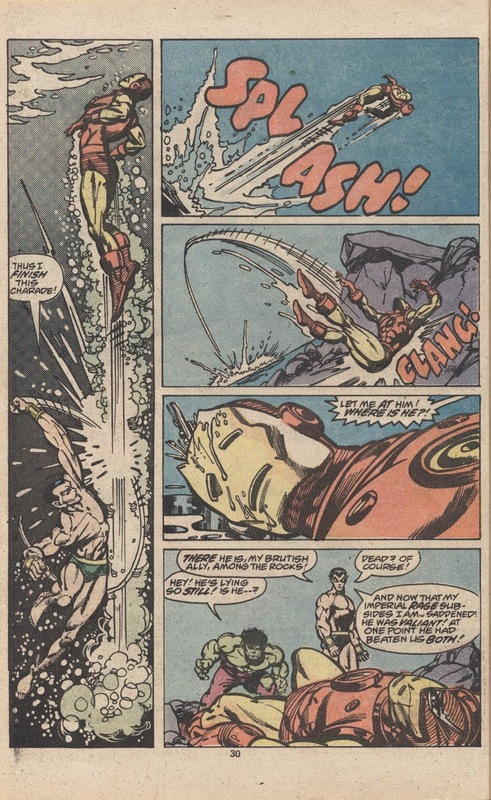 I was 11 when this came out, and to this day I still remember a number of panels. 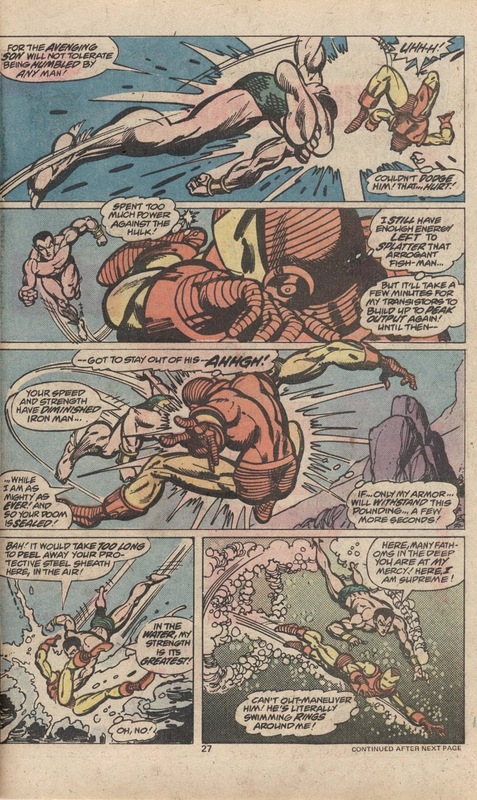 The pacing of the fight and the paneling are nearly perfect. 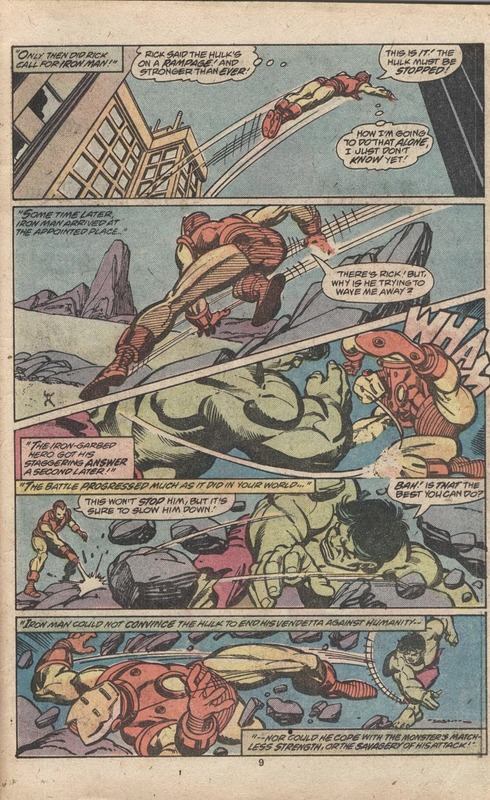 It feels big and epic and powerful in a way so many comics fail at. 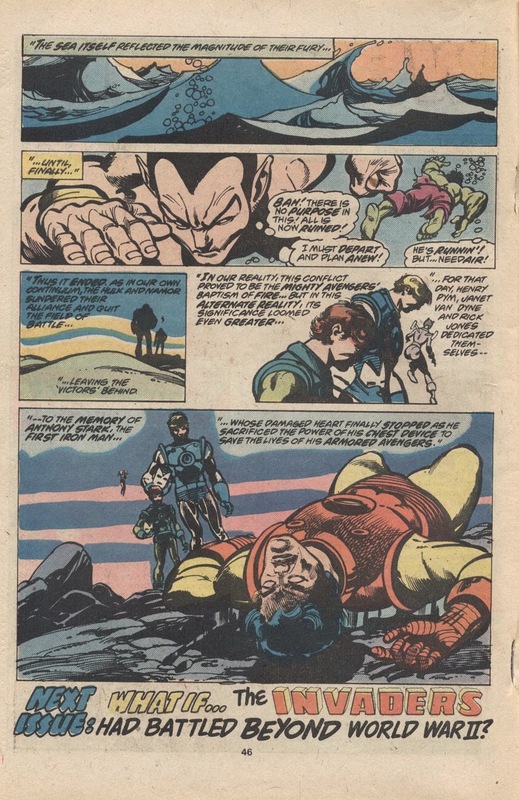 And even in our current age where life and death are easy in comics, and alternate tales abound, Shooter really show his legendary skill here and crafts a tale with real emotional weight. 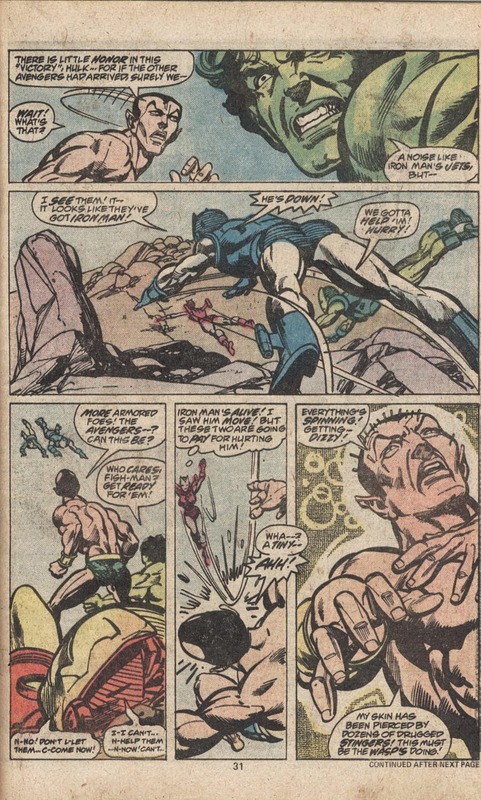 Gil Kane's always fine figure work sometimes suffered when he inked himself using markers which produced a sterile surface line, but Klaus Jansen's inks here really bring a level of character to the pencils which makes it greater than the sum of its parts. 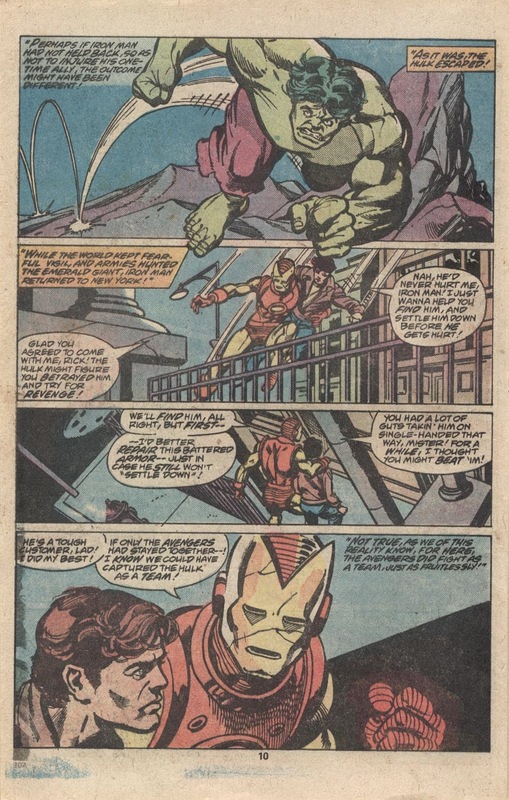 In other words, it looks on a par with the Neal Adams (pencils)/Tom Palmer (inks) work on THE AVENGERS of the early '70s, and that is a very high compliment! Haven't yet read this story, but the art really delivers! Thanks, Groovy One! Wow, I still pull this issue out every couple of months to read. Aside from the great art, the story is just incredible. 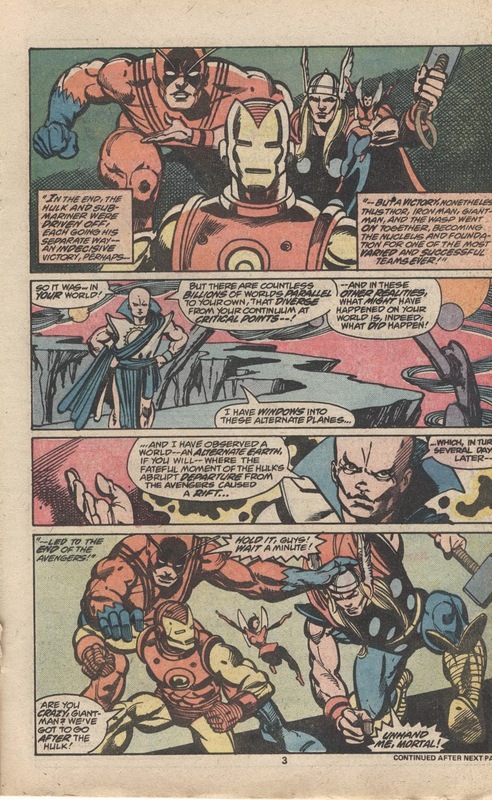 It seems like every one wants to pretend that Jim Shooter never did anything at Marvel, but his influence is felt everyday in the succeeding generation of creators. He really was "in the zone" at this time. 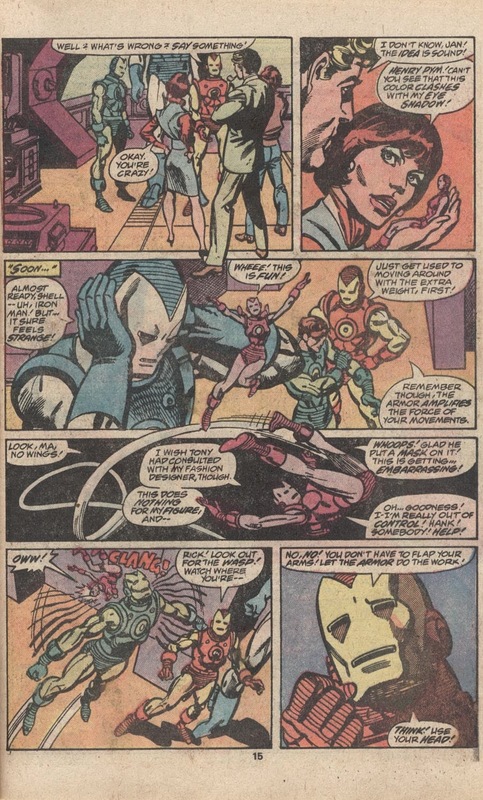 Any chance you could publish that Ultron story that introduced Jocasta? 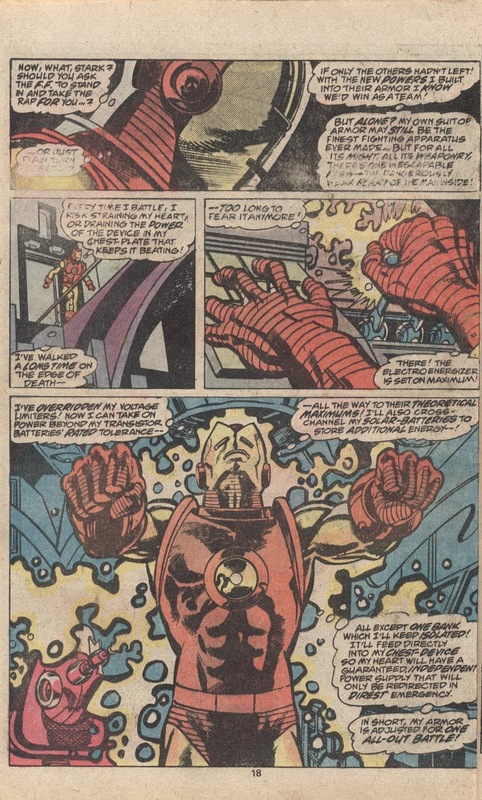 Like so many others have said, this is my favorite What If issue...and one of my favorite Jim Shooter stories, and oddly enough one of my favorite Iron Man stories as well. 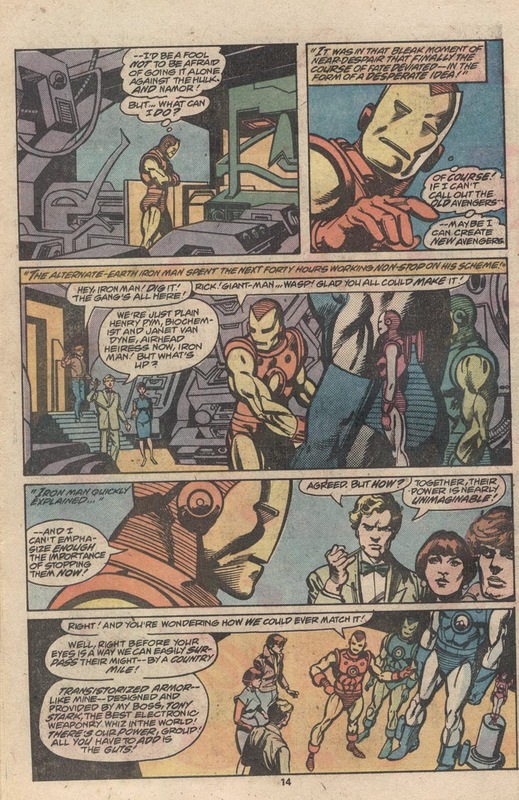 This is one that really showcases how Tony Stark wouldn't necessarily be a great person to work with all the time. 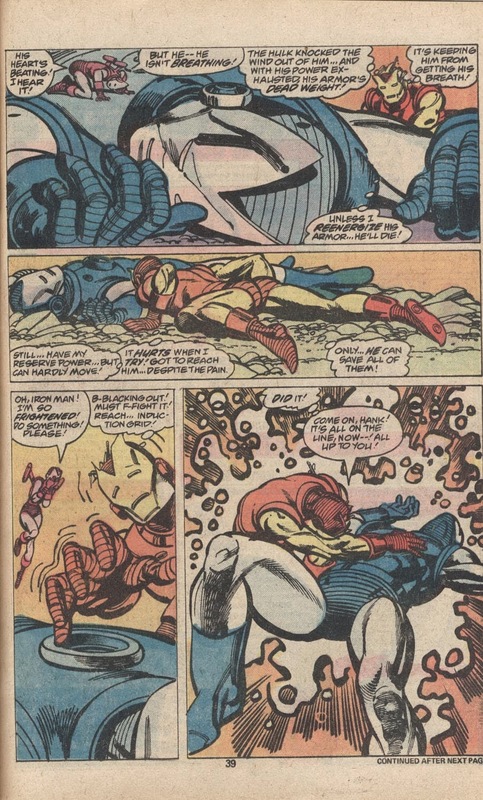 Shooter had his finger on the pulse of Stark, that's for sure. But one thing jumps out at me no one else has mentioned: the title is completely wrong. 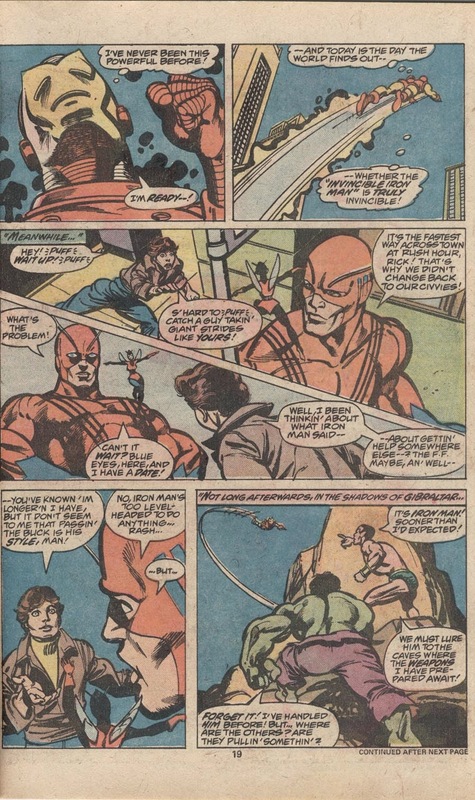 The Avengers disbanding after only two adventures clearly is not the same thing as the Avengers never having been. One logically precludes the other, and I've been waiting for someone else to notice this for decades! A superb story from the vast " What if " library. As for the title - I found most of the titles were strange because in many books the thing happened at the end we were told by the title would not happen. Like in " What if Frank Castle never had become the Punisher " : at the end of the story - guess what - Frank Castle DOES become the Punisher. Many stories didn´t deliver and it really made no difference if Matt Murdock became Daredevil or someone else who had a similar origin. 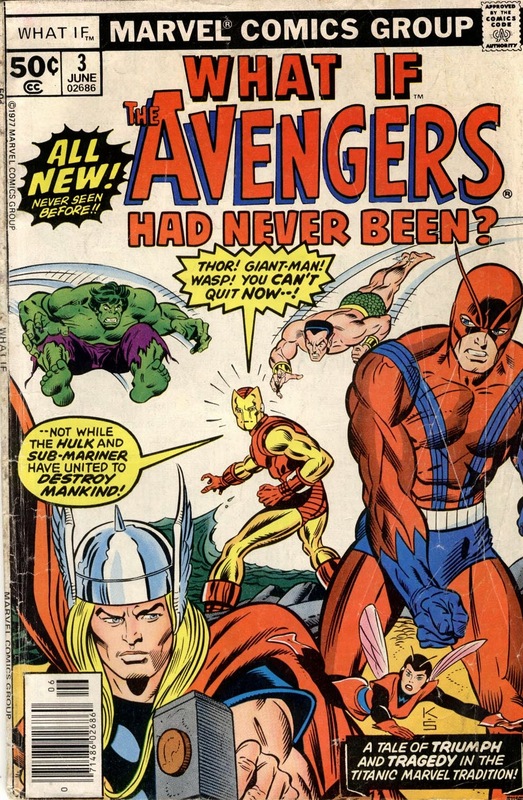 But all things considered the series had a lot of good stories and for me Marvel right now is mostly a big WHAT IF story since most characters are not recognizable anymore. I can never get enough of Kane. I always liked when Kane & Jansen worked together. I just wish Kane had stayed on one Title for a long run in the late 70 & 80s. 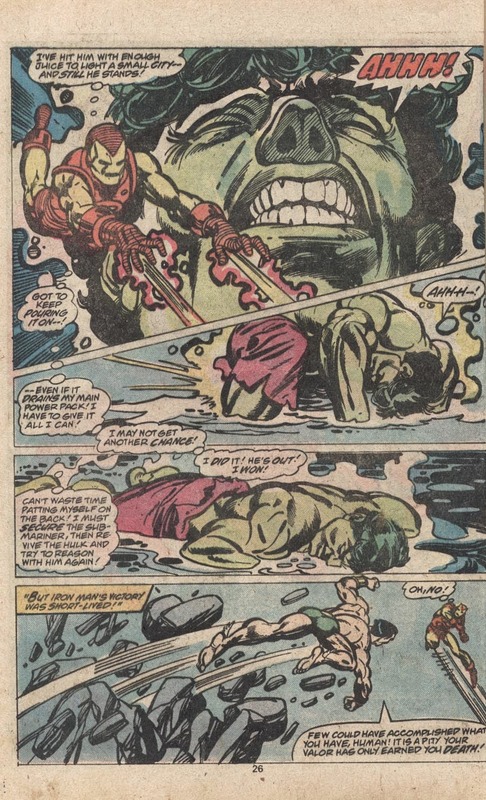 Some great 70s art, but, man they loved the close-ups.